Discover the latest research on how to improve happiness, harmony and productivity at home and work, and learn how to apply a simple, yet powerful thinking process to find and overcome those assumptions that can limit any of us from achieving this objective. 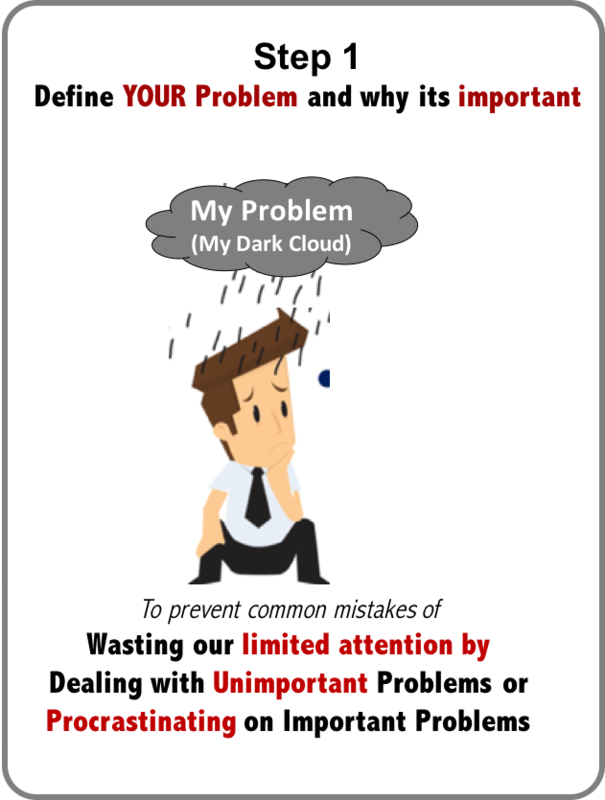 A common mistake when trying to resolve conflicts is to assume that compromising – giving up something – is the only way to resolve conflicts. 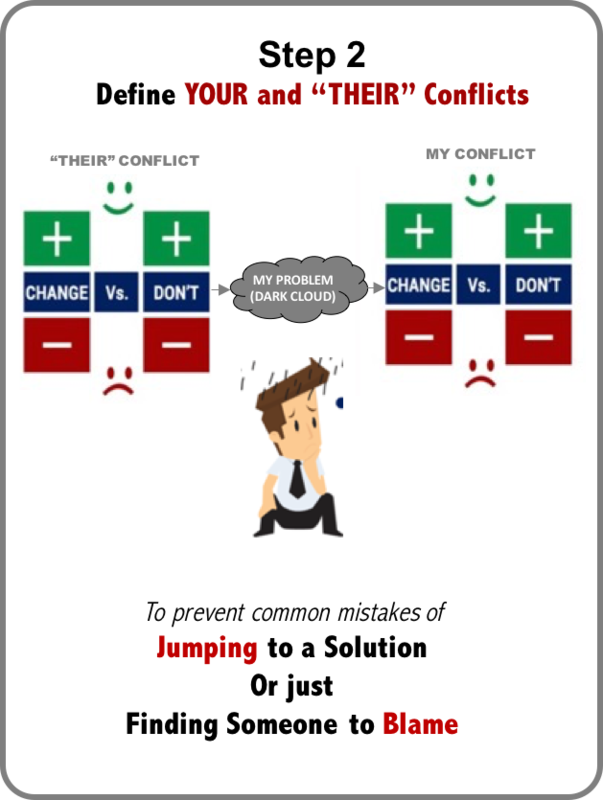 In this step, attendees will learn 4 simple options that help to expose and overcome status quo or change biases. 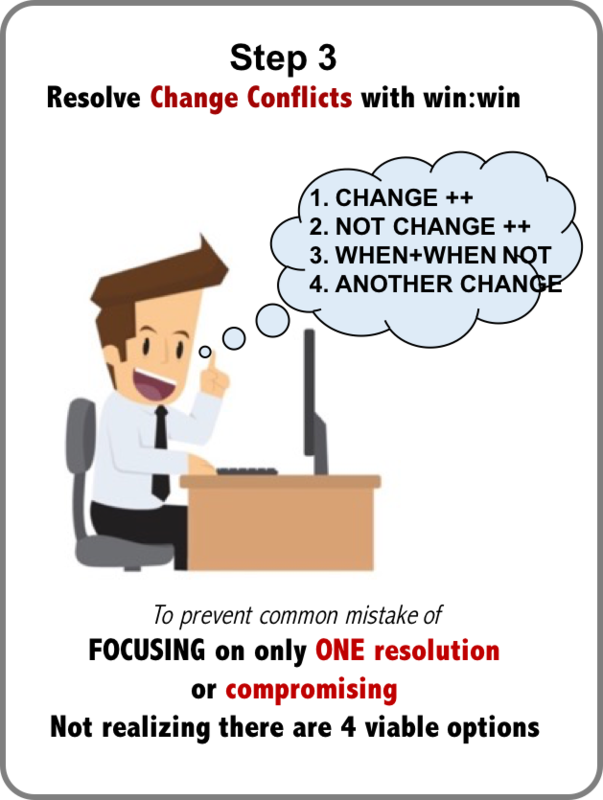 These 4 options guides you through the process to challenge the ONE or FEW limiting assumptions or beliefs that has blocked you and ”them” from resolving your conflicts with sustainable win:win to answer To What to Change. 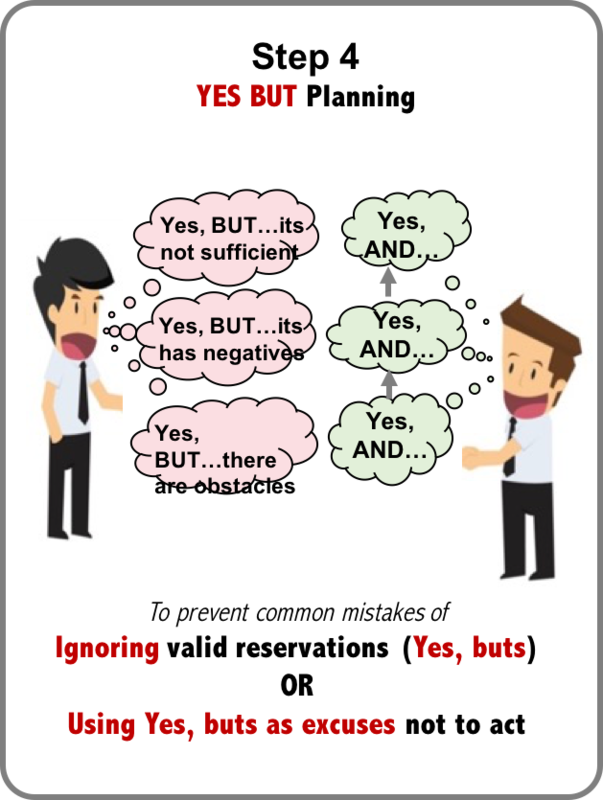 A common mistake in creating a plan to implement a new breakthrough is to either ignore valid stakeholder reservations or to use them as excuses not to act. These “Yes, buts” can include concerns about the insufficiency of our new breakthrough to ensure it will really be a win for all stakeholders, concerns about potential risks or unintended negative consequences of our new breakthrough, or simple concerns about obstacles that can block us from implementing the breakthrough. In this step, attendees will learn how to predict and identify their own and other’s valid “yes, but” and use these to to turn a potentially “half-baked solution” into fully baked breakthrough solution and develop a sequenced implementation plan of actionable next steps to answer How to Cause the Change. 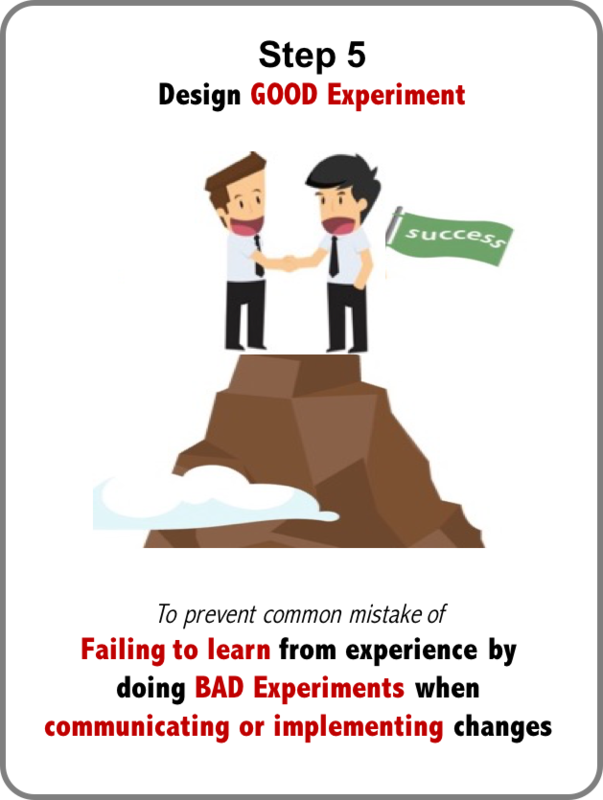 The last mistake we make in implementing change is to do a “bad” experiment by not taking the time to capture and communicate our full analysis in a way that will allow other stakeholders to help validate its assumptions and/or decide how we will measure whether the new breakthrough have in fact helped to resolve the issue critical in answering How to achieve continuous improvement at home and at work.